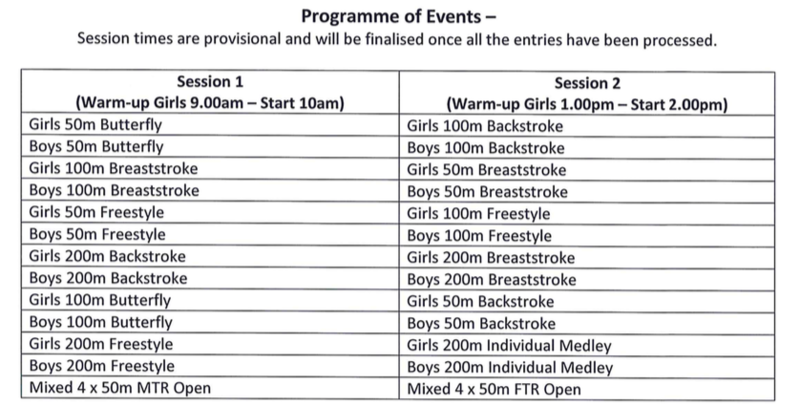 Please fill in swimmer's name and the events they wish to enter. £5 entry fee per event. Please be aware that parents will be asked to help at the swim meet. 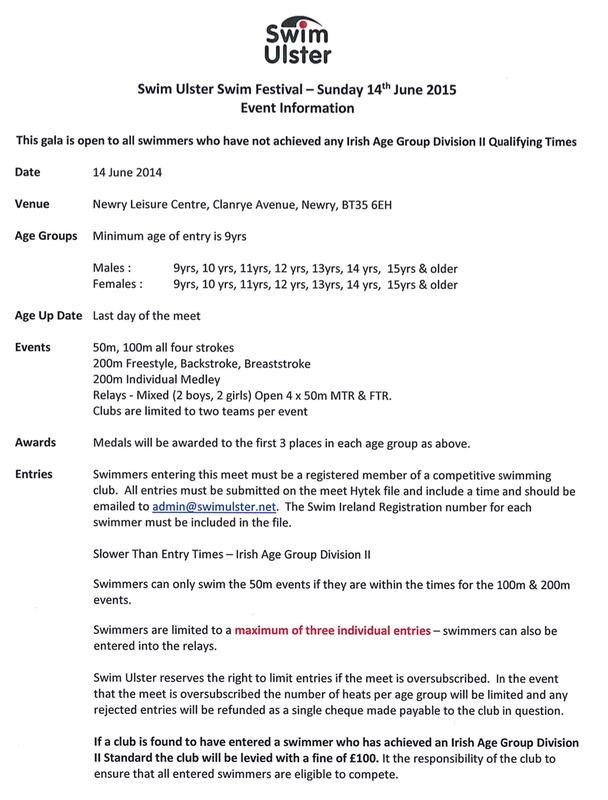 All entries must be submitted by 22nd May. Bring the entry fee to your next training session please. Thank you.